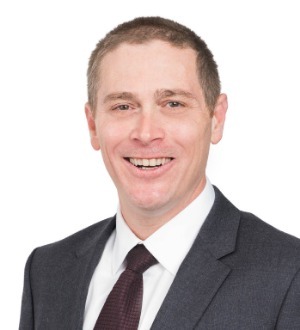 Corey is a litigator in bankruptcy, business and commercial litigation and represents bankruptcy trustees, receivers, creditors, assignees for the benefit of creditors, and municipalities in bankruptcy proceedings, and in federal and state court litigation. He frequently litigates fraudulent transfer (voidable transfer) actions, including in Ponzi scheme cases, and litigates breach of fiduciary duty and malpractice claims. Corey received his law degree from the University of Southern California Law School, his Master of Business Administration degree from the University of Notre Dame and his Bachelor of Arts degree from the University of California, Irvine. During law school, Corey served as a judicial extern for the Honorable Alex Kozinski (Ret. ), U.S. Court of Appeals for the Ninth Circuit, and worked for IBM’s international financial consolidation group within IBM’s personal computer division while earning his MBA from the University of Notre Dame. His background and education in business, having also received a MBA, provides a unique perspective in litigating complex adversary proceedings in bankruptcy cases, and in federal and state court business and commercial litigation. Corey is a member of the Executive Committee of the California Lawyers Association (CLA) Business Law Section. The CLA is comprised of the State Bar of California Sections, which became part of the CLA in January 2018 pursuant to California State Senate Bill (SB) 36, which was signed into law in 2017. Prior to SB 36 transitioning the State Bar Sections to the CLA, Corey was appointed by the State Bar of California’s Board of Trustees to a 3-year term (2016-2019) as a member of the State Bar of California Business Law Section Executive Committee. He previously served as Co-Chair of the Insolvency Law Committee (ILC), a standing committee of the State Bar of California Business Law Section (2015-2016), Co-Vice Chair of the ILC (2014-2015), and as the Insolvency Law e-Bulletin Co-Editor-in-Chief, a publication of the State Bar of California Business Law Section (2013-2014). Corey was originally appointed to the ILC by the Executive Committee of the State Bar of California Business Law Section in 2012. Corey was appointed by the United States District Court for the Central District of California to serve as a Central District of California Lawyer Representative to the Ninth Circuit Judicial Conference for a 3-year term (2016-2019). The Ninth Circuit Judicial Conference is held pursuant to 28 U.S.C. Section 333, which permits each circuit to hold a conference “for the purpose of considering the business of the courts and advising means of improving the administration of justice within such circuit.” In addition to the active circuit, district, magistrate, and bankruptcy judges, Section 333 provides for the “representation and active participation at such conference by members of the bar of such circuit.” Corey has served as a Lawyer Representative co-coordinator for the Ninth Circuit Civics Contest for the Central District of California in 2017 and 2018. The Ninth Circuit Civics Contest focuses on a different topic each year, offering a unique way to add to high school students’ knowledge and understanding of the Constitution, individual rights and government powers, and the important role of courts. Rund v. Bank of America, N.A., et al. (In re EPD Investment Co., LLC), 523 B.R. 680 (9th Cir. BAP 2015). In re EPD Investment Co., LLC, 2013 WL 5352953 (C.D. Cal. 2013). In re Sharp v. Bryan Cave LLP, et al. (In re Estate Financial Mortgage Fund, LLC)/Jeremiassen v. Bryan Cave LLP, et al. (In re Estate Financial, Inc.), 565 Fed. Appx. 628 (9th Cir. 2014). Kirkland v. Rund (In re EPD Investment Co., LLC), 821 F.3d 1146 (9th Cir. 2016).